As a very pale person who burns if she so much as thinks too hard about the sun, summer can be a difficult time for me. That’s why I embrace big hats, kaftans and—of course—sunscreen. SPF is my best friend; taking care of my skin is really important to me, and keeping it protected from the sun is a huge part of that. I’m a beauty editor, after all—it wouldn’t do for me to get prematurely wrinkled! But not all sunscreens are created equal—so I’ve put together a list of the very best sunscreens out there. These have all been tried by yours truly and thoroughly vetted; I love them, and I know that you will, too! 1. CeraVe AM Moisturizing Lotion ($10.39). CeraVe is my ride-or-die, and I love this incredibly easy lightweight moisturizer with SPF 30. Non-greasy, scent-free and strong enough to protect me from even the sunniest New York summer days, it wears beautifully under my makeup (or on its own). But the best thing about it? It doesn’t give me that weird white cast that so many SPF containing moisturizers do. Amazing. 2. La Roche-Posay Anthelios 60 Ultra-Light Sunscreen Fluid ($29.99). Believe the hype: this stuff is the jam. It’s light, it applies (and blends) like a dream and it feels beyond amazing on your skin. I notice that it even has a slight mattifying effect on my face, keeping my tendency to turn into a slice of greasy pizza under control for hours at a time. This is also brilliant for anyone who has sensitive skin—it won’t irritate even the most delicate complexions. 3. 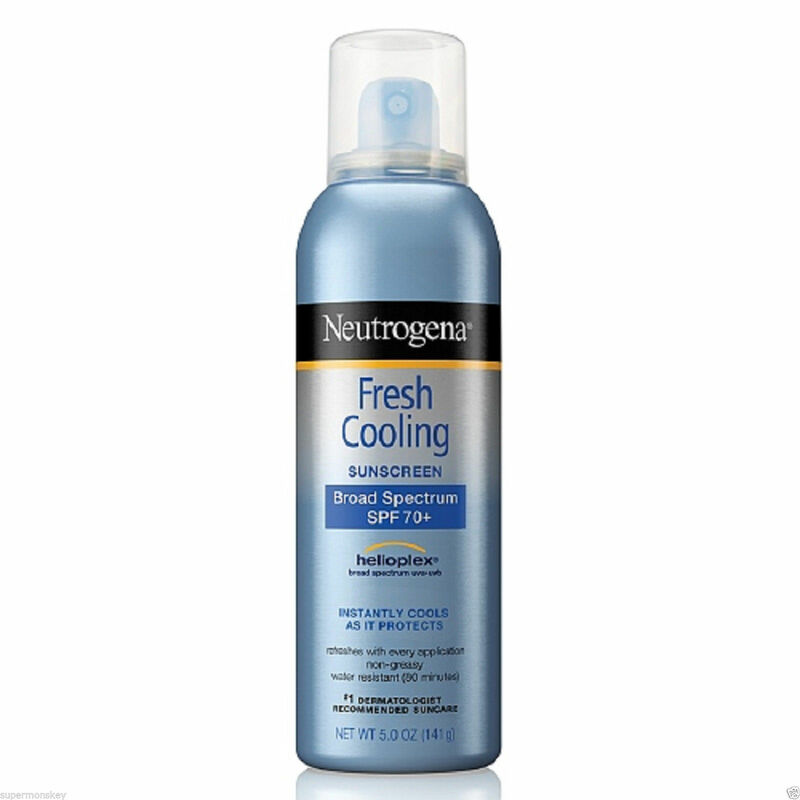 Neutrogena Cooling Sunscreen Mist, SPF 70 ($10.99). If you’re spending a lot of time outdoors this season (and let’s face it, who here isn’t? ), this is the sunscreen for you. Beyond easy to apply—you literally just spray it on—this refreshing sunscreen lasts through sweating, saltwater and all manner of summer fun. This is one of the only products I trust to keep my skin protected when I’m working out outside; I know I won’t sweat it off in ten minutes, and reapplication is so, so easy. 4. 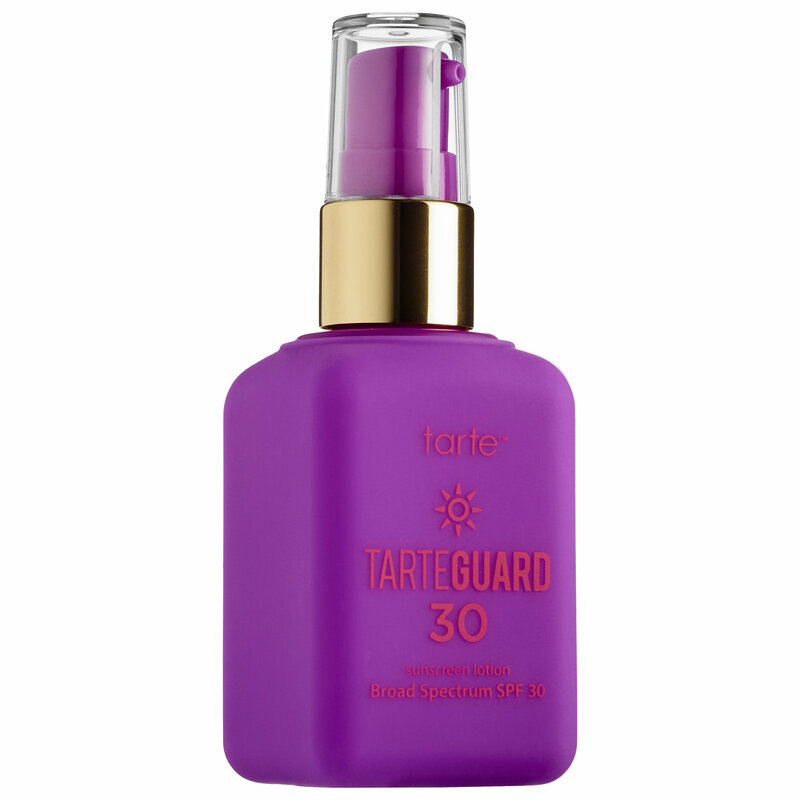 Tarteguard 30 Sunscreen Lotion ($32). If you’re looking for a physical sunscreen, get ready to fall in love with Tarteguard. Containing both titanium and zinc dioxide, this sunscreen will keep you blocked from the sun for hours. It has a light, summery scent and—glory of glories—doesn’t flash back in photos. This is one of the only straight-up physical sunscreens that I’ll put all over my face; this absorbs quickly and leaves a silky finish that’s more like a high-end moisturizer than a sunscreen. Plus, that packaging…beyond adorable! 5. 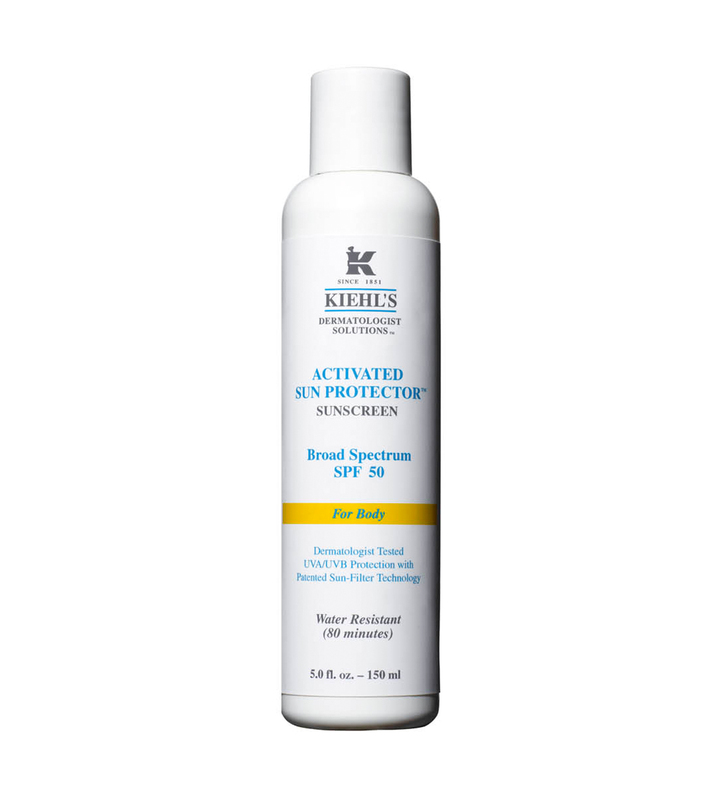 Kiehl’s Activated Sun Protector, SPF 50 ($29). If your skin is very oily or acne-prone, you need this Kiehl’s sunscreen. I have KP, and this is one of the only heavy-duty sunscreens that really works for me without inciting a plague of lumpy-bumps. A little on the slippery side, this goes on easily and doesn’t come off on—or stain my clothes. If you’re on any kind of retinoid, you’re going to LOVE this—it offers complete sun protection without irritating your skin and making your face hurt. When I first started using mine and my face was peeling off like the Red Skull, I turned to Kiehl’s. And this sunscreen made me very happy. More from Daily Makeover: The Best Drugstore Beauty Products.